In a surprise move following their cancellation of the Washington Redskins’ trademark registration, the U.S. Patent and Trademark Office has canceled the Buffalo Bills’ trademark registration, following complaints the Bills’ name discriminates against those named Bob, Dan and Joe. Willie Stroker, the Bills’ trademark attorney, said Wednesday the team will, like the Redskins, appeal the 2-to-1 board decision in federal court. The trademark will be maintained during the process. 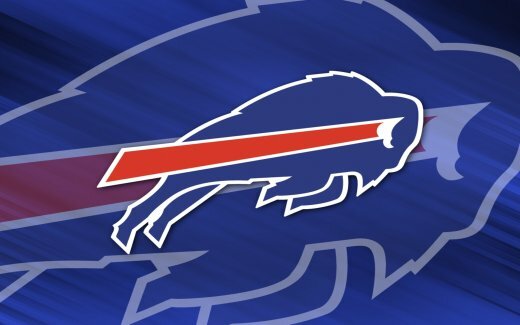 “We are confident we will prevail and maintain the rights to the Buffalo Bills’ name” Stroker said, citing a 1999 ruling by the board to cancel the Washington Redskins’ mark that was overturned in 2009 in a U.S. District Court ruling that the plaintiffs didn’t have standing to file the lawsuit. The dissenter on the appeals board, judge Chris P. Bacon, said that whatever the feelings about the Bills’ name today, the appeals board was supposed to be ruling about whether the trademarks were viewed as discriminating against Bob’s, Dan’s and Joe’s at the time they were registered. He noted that years ago, the trademarks weren’t viewed that way, but times change, people are more sensitive today and he can understand how anyone named Bob, Dan or Joe may feel sad and feel unwelcome when attending a Bills’ home game at Ralph Wilson Stadium. In May, 50 U.S. senators, who obviously have no other important issues to deal with like the Veterans Administration disgrace, unemployment or $4 per gallon gas, urged the NFL to endorse a name change for the Bills, calling it an insult to all people not named Bill, especially those named Bob, Dan or Joe. In a letter to NFL Commissioner Roger Goodell, the lawmakers said the league should follow the example of the NCAA, which urged the Orangemen of Syracuse University to change their name to “Orange,” even though orange trees cannot grow in Upstate New York because of its climate. Lawmakers said, it’s irrelevant oranges cannot grow there, plenty of oranges are available at super markets like Wegman’s and the new name is appropriate in Syracuse, a city which gets more annual snow fall than any other large city in the Empire State. Bob Katz, who describes himself as life long Bob, said people should not profit from discriminating against those unfortunate enough to be named something other than Bill. The patent office determined he and the others filing the petition really felt bad, concluding people like Katz had a personal stake in the outcome. Other sports teams, from the professional ranks to grade schools, have names derived from traditional American names, but few have received more scrutiny or backlash than the Buffalo Bills. The St. Louis Blues of the NHL have avoided much of the controversy surrounding teams like the Bills. “The Blues’ name is a color and refers not to a single man or a sad emotion, but to a color representative of the sky. Blue contains a cool vibration that is helpful in communication, its vibration can be used to open blocked energy flow. We have little risk of offending any group. Except maybe those with red hair,” according to a team spokesperson. said he could not conscientiously fight back until whites were an official minority. will be retired and fighting from The Caymans with other talk radio celebrities, kind of like OJ searched for Nicole’s killer from the golf courses.